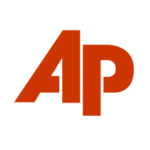 MADISON, Wis. (AP) — Wisconsin Gov. 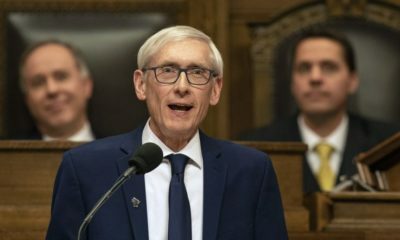 Tony Evers promised Tuesday that his first state budget proposal will close the “dark stores” loophole that allows big box retailers to save millions of dollars in property taxes by assessing the value of their active stores as if they were vacant. 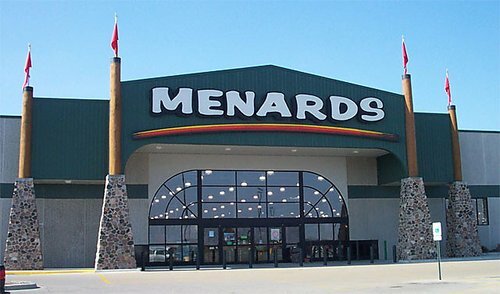 Local governments have been leading the push to close the loophole that results in stores like Menards and Lowes getting lower property tax assessments, costing local governments tax revenue. 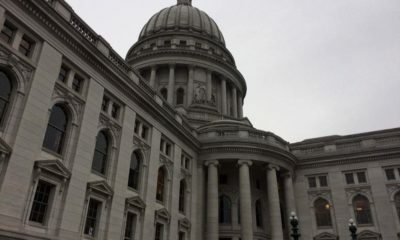 The Legislature considered a bipartisan bill last session, but it died amid opposition from the state chamber of commerce. Evers, speaking at a meeting of the Wisconsin Counties Association and later to reporters, also said he would propose more spending on guards at the troubled Lincoln Hills juvenile prison while delaying its closure; oppose a Republican income tax cut plan ; and direct a review of air permits granted for the Foxconn Technology Group project . 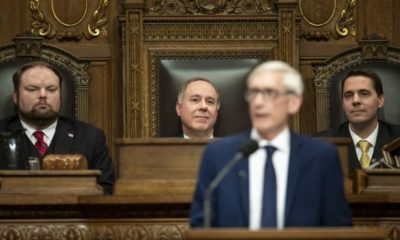 Evers will introduce his budget at the end of the month. 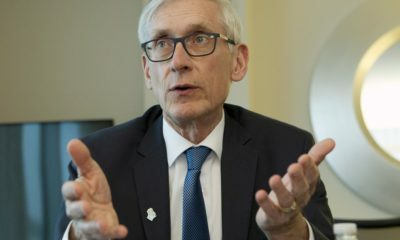 It’s certain to meet resistance in the Republican-controlled Legislature, which was already diverging with Evers on how to pay for a 10 percent income tax cut plan. Both Republicans and Democrats alike worked together last session on trying to solve the “dark stores” issue but could not come to agreement. 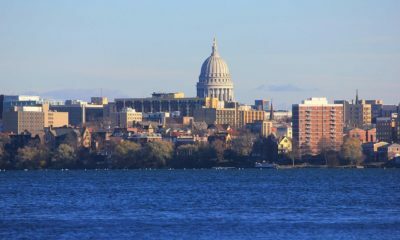 The bill last year died under opposition from the state chamber of commerce and mega-stores that argued the current assessment practice has long been the standard in Wisconsin. Recent court rulings in Wisconsin and other Midwestern states have helped retail giants lower the value placed on their stores for property tax purposes. The retailers have increasingly argued successfully that they are overtaxed and should pay the same on active property as one that is closed and vacant. Evers said what’s happening now isn’t fair and shifts the property tax burden to other smaller businesses and homeowners in the community. Republican Assembly Speaker Robin Vos and Senate Majority Leader Scott Fitzgerald did not immediately return messages seeking comment. Vos opposed the “dark stores” bill last session, saying he was concerned about raising taxes on the retailers. 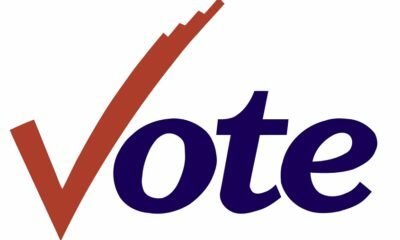 Voters in 17 Wisconsin counties and six municipalities in November approved a non-binding resolution calling for a closure of the loophole. — directed the Department of Natural Resources to review air permits granted to Foxconn Technology Group. That review has not begun but Foxconn officials told him they are not concerned, Evers said. — would include additional funding to hire more guards at the Lincoln Hills juvenile prison, while delaying closure for at least a year while work proceeds on designing smaller facilities. Evers said the delay, first announced last week, was not “ideal” but the process can’t be rushed. Current law requires the prison to close by 2021, but Evers and counties working on the new facilities say that timeline is unrealistic. 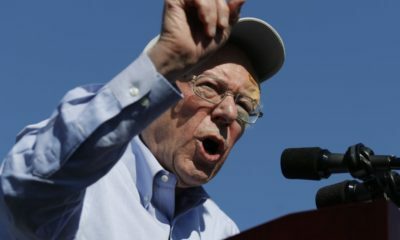 — doesn’t support the Republican income tax plan because it taps budget reserves to pay for it. Evers prefers all-but-eliminating a manufacturing and agriculture tax credit to pay for the middle-class tax cut, something Republicans oppose.